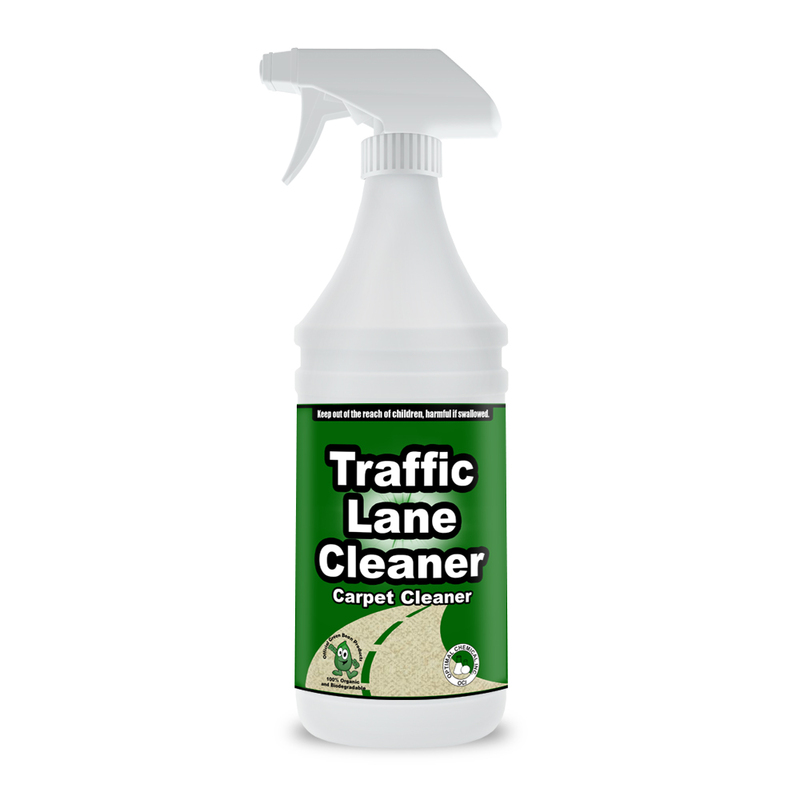 Traffic Lane Cleaner is a deep cleaning, odor removing, low foaming carpet shampoo which penetrates deep into carpet and upholstery fibers. The carpet cleaner is formulated to specifically remove old and new stains, odors and allergens, and keeping your carpet looking new longer. 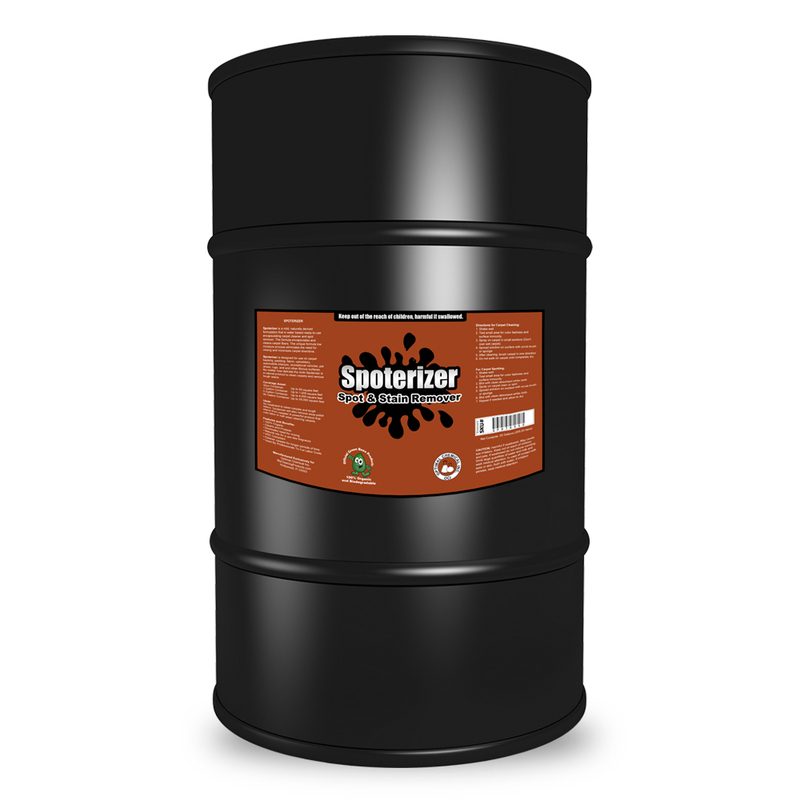 The natural formulation can be used directly on carpeting, any manufacturers water based rug cleaners and/or pumps. The easy to use formula works in just minutes upon first application. 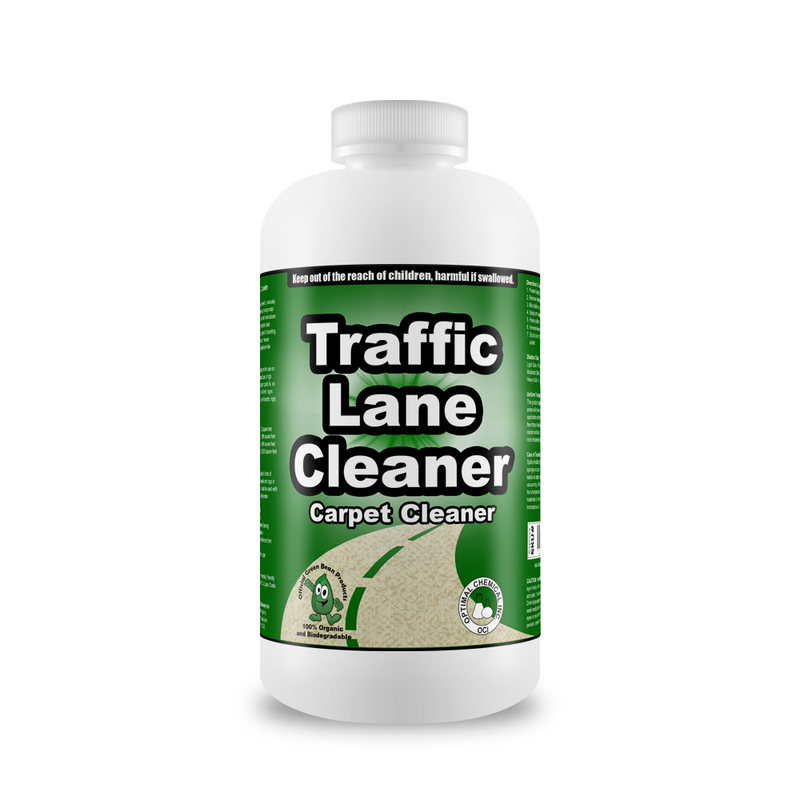 Just spray Traffic Lane Cleaner directly on carpet or use a carpet cleaning machine, wait, and let settle. 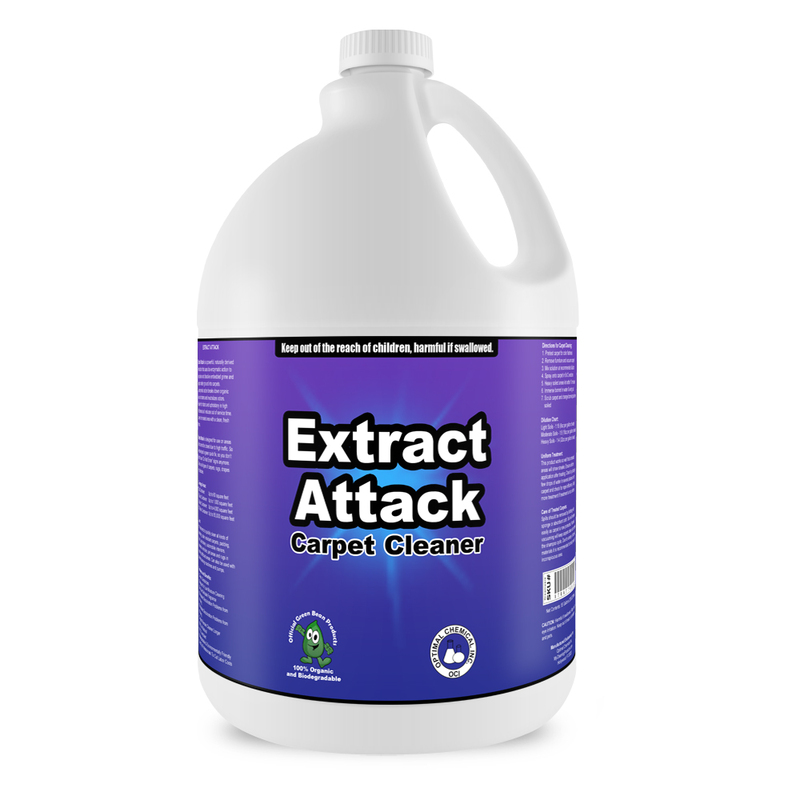 Then watch as odors, allergens, and stains, are easily removed with your first treatment. Carpet management professionals use this exact formula to reduce labor costs and increase longevity of carpets. Due to the unique non harmful formula, you will notice odors, allergens, and stains removed within the first treatment of using the product as per label instructions. We are so confident your carpet will never have musty odors, stains, or allergen issues after treatment, that you are entitled to our money back guarantee. 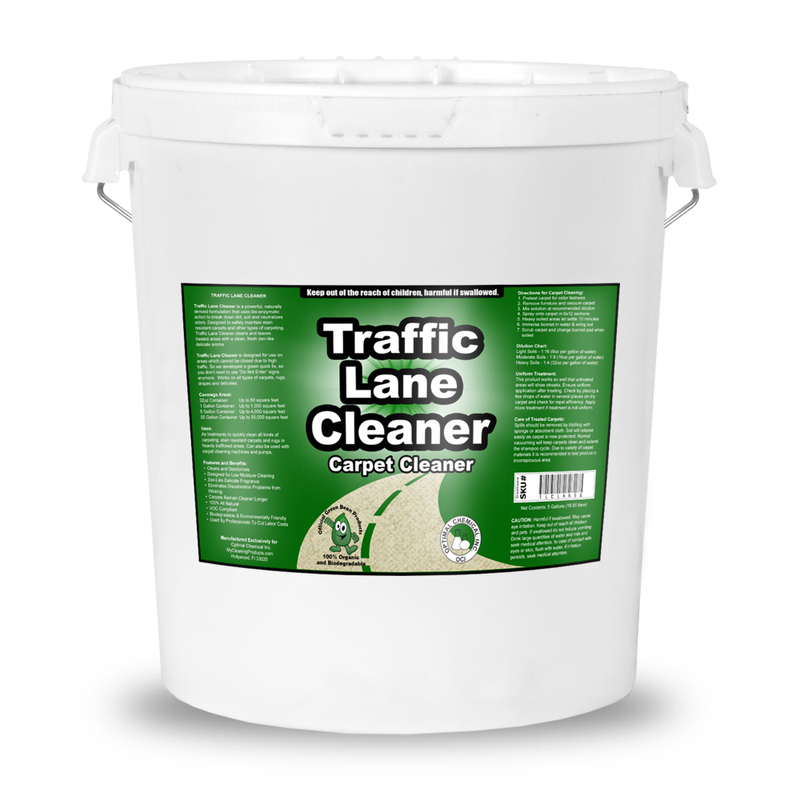 If Traffic Lane Cleaner does not work for any reason, simply let us know by email or phone and we will happily refund your money. Our primary mission is to help you clean and keep your carpet clean and smelling fresh throughout the year, without the worry of allergens.